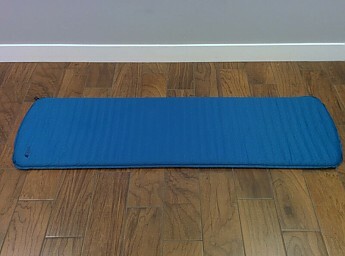 When inflated, it's three times thicker and up to twice as warm as a 1/2" closed-cell foam pad. And when rolled up, this pad takes half to a third the space (volume) of that same closed-cell foam pad. 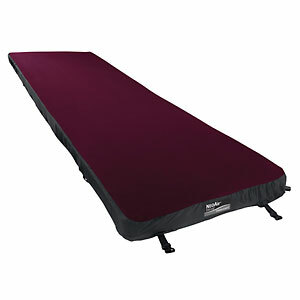 This is pretty average for these "self-inflating" type sleeping pads. They called it a "Medium-Thickness" pad in the literature. For a side-sleeper like me, this was the bare minimum to keep my contact points elevated off the ground (anything thinner, and I would have displaced the air under my shoulders and hips and been uncomfortable all night). 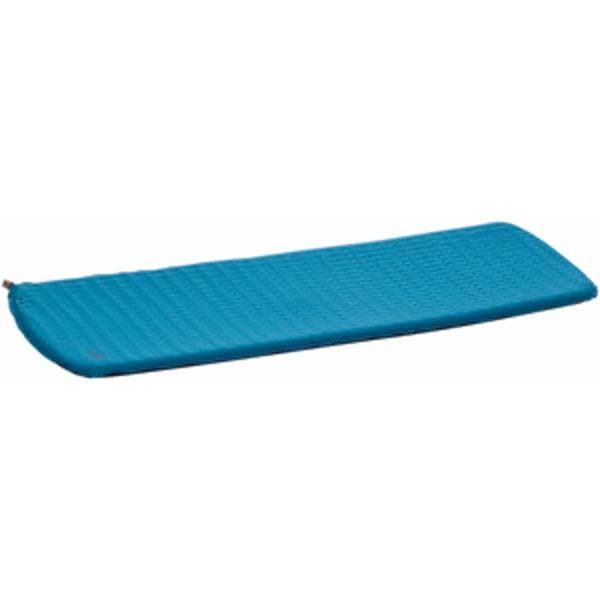 This is a biggie for sleeping pads. In the summer it's not so important, but in the shoulder seasons it makes a big difference. this pad wasn't the greatest at keeping you warm in cooler environments, but it was better than using a foam pad. These days, there are much warmer varieties, but you pay a premium for warmth. As you can mouth-inflate these pads to your own liking, this is a matter of personal preference. I like my sleeping pads to be firm, and this pad delivered (up until the point of failure a few years later, when it would no longer hold air pressure). 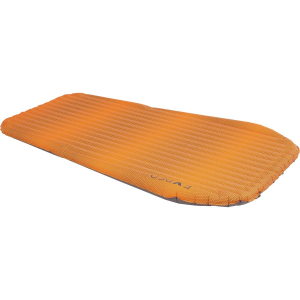 These types of sleeping pad must be compressed when rolled to "deflate", and then the valve closed to keep the internal foam from re-expanding the pad again. It can become a little tedious if you're moving campsites every day on a multi-day route, but the tradeoff is for much better packed volume compared to standard foam mats. After a few years of light and occasional use, my sleeping pad failed due to a membrane degradation/decay in the "top" fabric. it was pretty spectacular to do the soap-test expecting to find an isolated pin-prick, and instead see the whole surface foam up! Luckily for me, MEC stands behind their products, and for only a small fee I was able to upgrade to the newer MEC Reactor 3.8 sleeping pad. So while I can't say the build-quality was the absolute greatest, the customer support from MEC is phenomenal!! This is the inflated sleeping pad... Nothing you wouldn't expect. This is the business-end of the pad... your mouth will get very well-acquainted with this. 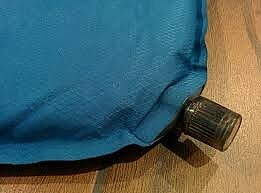 This was my first "self-inflating" style sleeping pad. I bought it new in 2008, and it gave up the ghost in 2015. During that time, I likely used it for a dozen or so weekend trips, and maybe up to five full-week trips, all in the summer months. I felt I didn't use it a LOT, and as a rule I take good care of my gear, so I was disappointed when it failed. In the end, it suffered a full membrane failure on the "top" surface, which allowed me to take advantage of MEC's Lifetime Product Guarantee and upgrade for a small fee to their newer MEC Reactor 3.8 sleeping pad (review pending...). Great review! Wondering how the older pad compares to the newer one they're selling. It's on my shopping list for a pad and I've been comparing it against the other options out there. Hi Jayson, I can vouch for the MEC Reactor 3.8, it's a really decent product (I'll see if I can make time for a thorough review soon) I've also heard good things about the MEC Vectair (8.0) which is really not that much more expensive. In short, if I were shopping right now, it would be between those two. the extra thickness and supposedly better thermal performance of the Vectair would have me leaning in that direction, TBH. 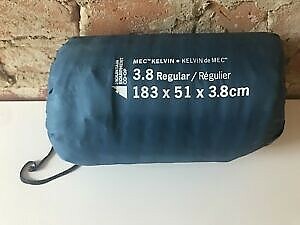 The MEC Kelvin 3.8 Sleeping Pad is not available from the stores we monitor.